Sad news this week, Kenny Allan passed away yesterday morning after a long illness. 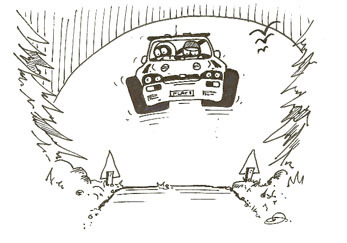 He took ill three years ago just after his final motorsport outing at the Bo-Ness Hillclimb. Over that period he was in and out of hospital, but in between times at home enjoyed regular visits from his wide circle of friends in motorsport. 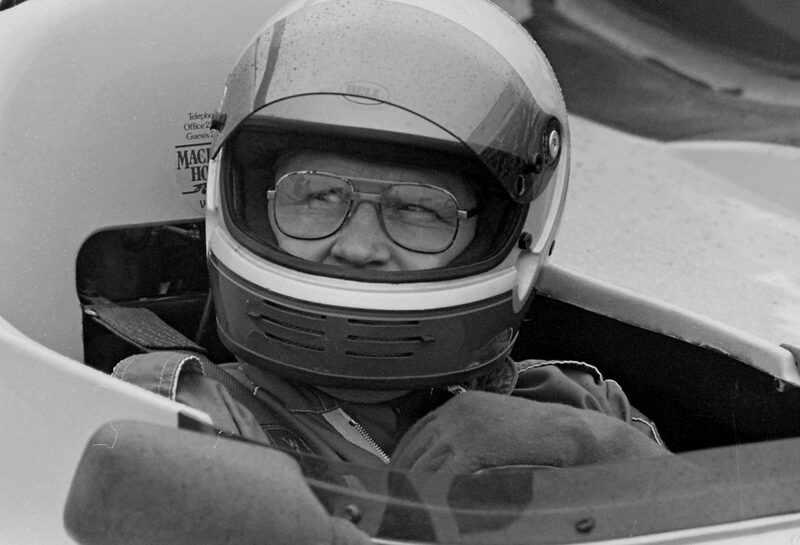 He was a champion and record setter in a variety of sports – motor racing, hillclimbing, sprints and speed events – and raced everything from his first Mini through a variety of sports and clubman cars, single seaters and latterly his much loved Lotus Elan, and he was still winning in his 70s. It could be argued he lived to race, contesting motor races, hillclimbs and speed events right across the country from Rumster in the north to Gurston Down in the south, Kirkistown in the west and Silverstone in the east. He won multiple Scottish championship titles across all disciplines setting class and outright records along the way and continued his winning ways at the various British Hillclimb Championship rounds he contested, although he never really had the car or the budget to mount a full British Championship assault. I first came across him at the old Rest & Be Thankful Hillclimb in Argyll when he was racing his Mini Cooper S with the registration number KAM 1. He also raced the car at the new Ingliston race circuit before he progressed to a Clan Crusader and that was where I first got to know the man. He managed to attract some modest (very modest!) sponsorship support from a certain Cleland Car Sales emporium in Kirkfieldbank. Kenny owned a garage and workshop further up the Clyde Valley in Crossford and carried out some work for Cleland’s. Bill Cleland had sold his Bogside Triumph dealership and opened up a used car showroom on the outskirts of Lanark and when he needed some work done, Crossford Garage would often get the call. Bill Cleland was a former rally driver and RAC MSA Scrutineer at rallies and race meetings so the two had something in common, and no doubt some of that rubbed off on a certain John Cleland who then took up hillclimbing and racing in a Mini. Unfortunately, Cleland’s place was opposite the Tavern in Kirkfieldbank which served up scrumptious steak pie at lunch times and this is where deals and costs were agreed/disagreed between Kenny and Bill. Naturally, the pie had to be washed down. Aye, them’t were days. The bald statistics don’t do Kenny Allen the man or ‘King Kenny’ the racer, justice. They don’t even come close. He was no James Hunt or Ayrton Senna, there was no swagger or arrogance, but sit him in a race car and he was a match for anyone. It was said he could thread the eye of a needle with his Ralt RT30. He was modest, quiet and almost shy, unless among friends, but there was a glint in the eye that people overlooked at their peril. That was evident at the early British Touring Car races at Knockhill when he would arrive on-site in his campervan and set up camp for 3, or sometimes 4, days. It was open house for the Scottish regulars including a certain innocent and impressionable event Press Officer who was making his way home through the campsite after practice one evening. He was beckoned over to the camper with its back door wide open, and as he approached the aroma was so rich that a distillery sensory experience tour manager would have paid dearly for some of that aromatic essence to enhance his/her own visitor experience. Silly boy. Inside the camper was Kenny and Harry Simpson, and I think Alex Graham was there and perhaps John Fyda, the memory is now somewhat foggy, while others came and went as the evening wore on. The drink flowed, the craic was good and the laughter was loud. The Press Officer didn’t make it to his car that night never mind home, he had to return to the Press Office and sleep it off on the floor! A rather incredulous Stuart Gray looked into the Press Office early that next morning to find a rather subdued, overhung individual: “You didn’t sleep here last night, did you?” And they say ‘Motor Sport is Dangerous’ – well ‘they’ got it wrong, it’s not motor sport that’s dangerous, it’s some of the characters who are dangerous and despite his cherubic looks, that could be applied to Kenny. 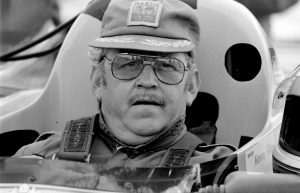 Kenny was a long time member of Lothian Car Club, a supporter of Bo-Ness and Forrestburn Hillclimbs and latterly a founding member of the Veterans of Scottish Motor Sport. He will be missed by them all. He was also a part-time ‘Bear’, a member of Coltness Car Club when they ran the Strathclyde Park Hillclimb in the 1980s. But none will miss him more than his wife Mary, daughters Margaret and Del, his wider family and huge circle of friends and motorsport fans right across the UK. Our thoughts should be with them at this time.